Reliable, free, and quality music tracks are hard to come by. Whether you’re doing a sermon clip, a testimony, promo clip, or your own church podcast, audio is a necessary ingredient. And most of the time that doesn’t come cheap. But in today’s pro-tip, I’m sharing with you one of my go-to resources for free music tracks to use for your church podcast audio and videos. YouTube Audio Library is where creators have uploaded a ton of music and made it available to use with your videos. Now there are different usage rights, many are royalty free for your church to use as you see fit, or you need to give them attribution as the creator. 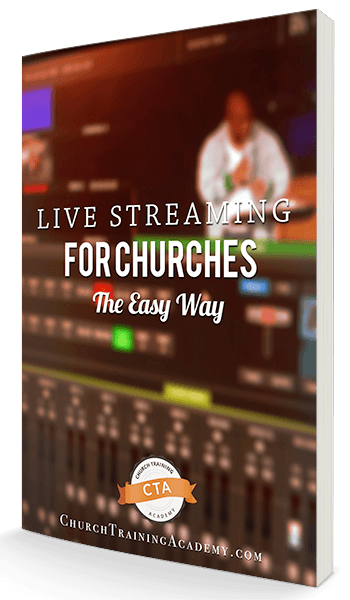 Simply download the tracks you want, insert them into your church podcast audio track, then upload your video to YouTube with the attribution if needed. They have tracks for all different styles beyond your church music tracks. Choose from feelings too…happy, solemn, uplifting, and more! Your videos will not get flagged by Content ID when they use these soundtracks. Facebook also has a sound collection, but…. There’s tight restrictions on usage. Basically, you can only use the tracks for content that is natively hosted on the Facebook platform. So…. if you ONLY going to be publishing to Facebook, then you’re good. Otherwise, stick with sources like the YouTube library or other Creative Commons sources like the Free Music Archive. Keeping track of song purchases, licenses, styles, and memberships can be a lot to manage. But when you go to YouTube Audio Library you have a trusted source for your church podcast audio. Select tracks from your style, download, and add attribution when necessary. It’s easy, simple, and reliable. 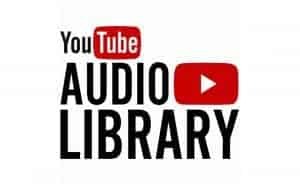 Have you tried YouTube Audio Library yet? Share one of your videos in the comments below!